I needed a recipe to use up the last of my chicken and the stellar stock that I made from it. 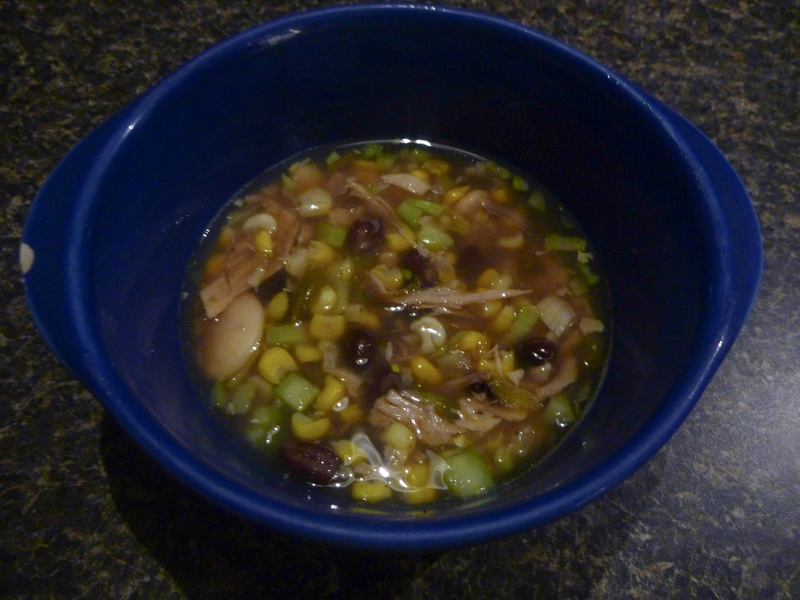 I couldn’t find a recipe for chicken tortilla soup that was healthy enough or flavorful enough. So I just threw a bunch of things together and it turned out pretty well! 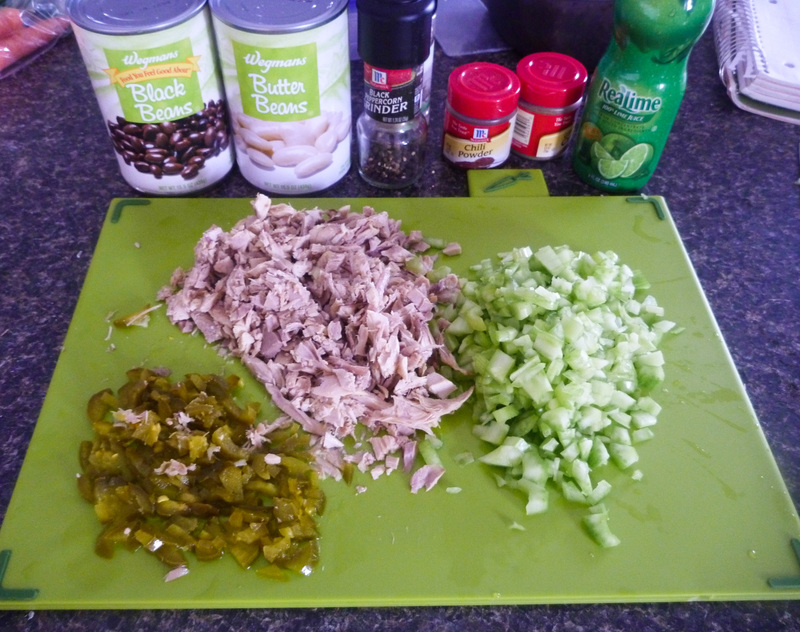 Chop up vegetables coarsely, add all ingredients to a saucepan or crockpot. Heat on stove until boiling, reduce heat and simmer for 20 minutes. If in slow cooker, cook on medium for 2-3 hours. 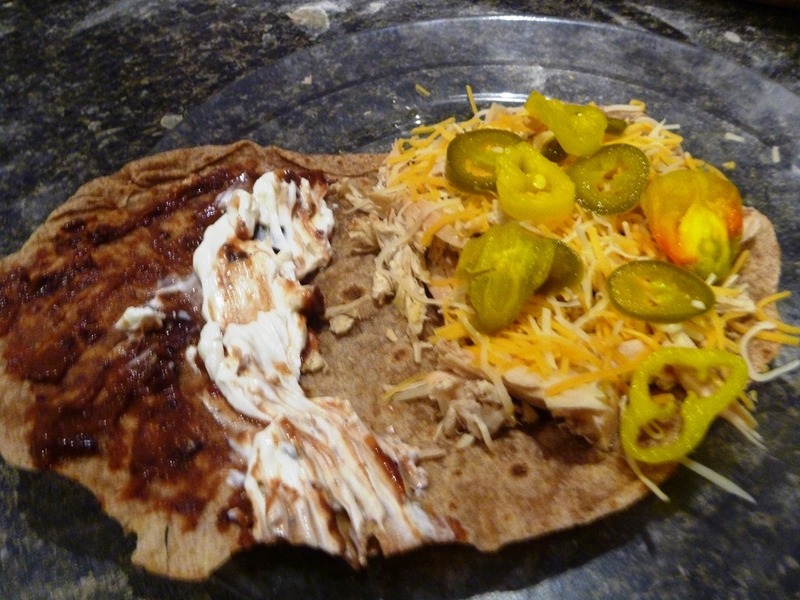 Top with plain greek yogurt, shredded cheese, and crushed tortilla chips. The whole time I was eating this I wished I could pair it with a frozen margarita, it just seemed like that would of been the best combination. You can also add tomatoes, I just didn’t have any at home. I couldn’t accurately add the nutrition information for this recipe because I don’t know what my homemade stock facts would be. Sorry guys! Whats your favorite Margarita recipe!? 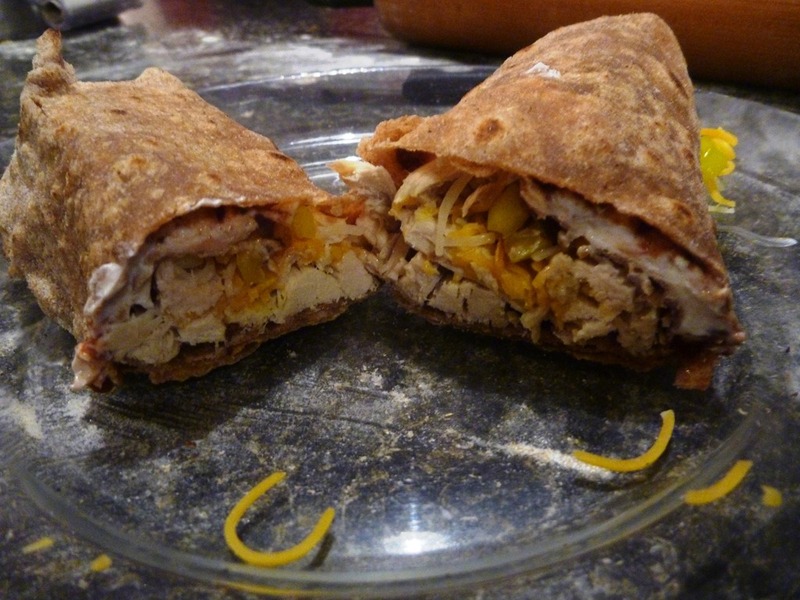 I am very excited to make lunch today using the happy chicken and whole-wheat wraps I made yesterday. 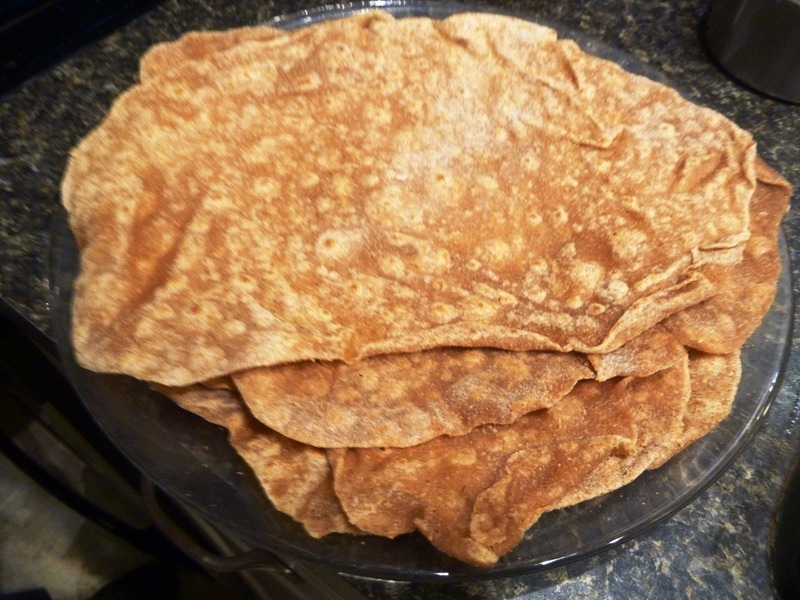 These are simple and delicious, and if you are missing an ingredient you can substitute a whole slew of other things.